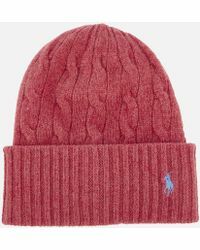 Eponymous designer and philanthropist Ralph Lauren launched his debut collection of Polo Ralph Lauren in 1967. 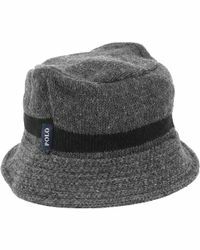 Beginning as a line of handmade neckties sold out of a desk drawer, the brand has gone from strength to strength, expanding greatly as a result of its success. 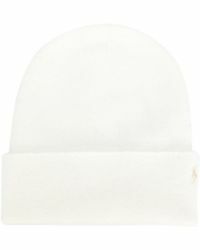 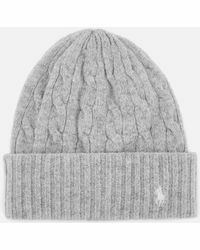 Whether you are looking for a winter warmer or something to keep the sun off your face, the collection of Polo Ralph Lauren hats has you looking great from head-to-toe all year round. 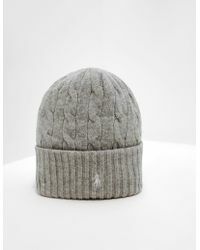 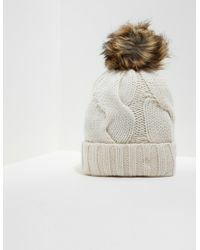 Go for cosy cashmere beanies, wool flap-eared ski caps, panamas, berets or baseball caps, you'll be spoilt for choice.